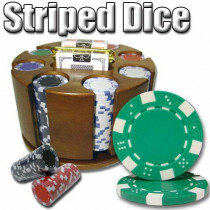 Simple, versatile, affordable! 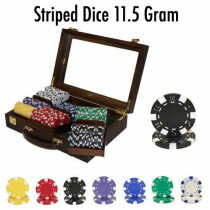 If you are looking for a truly versatile poker chip set that can be switched easily between cash and tournament games, the Striped Dice poker chip sets are what you need. 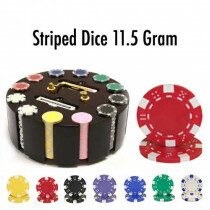 Made from a high quality clay composite, these chips feel and sound great. 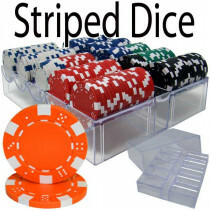 Available in 10 colors without denominations, you can use the set for virtually any game you want. 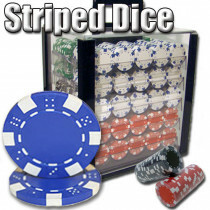 Each chip has a set of 6 edge stripes along with each of the six sides of a standard die. 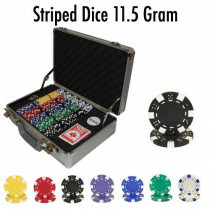 At 11.5 grams, these chips are at one of the all-time favorite chip weights. 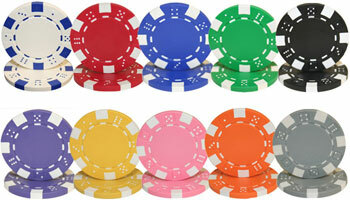 Give your home game a boost with one of these versatile poker chip sets at a very affordable price!